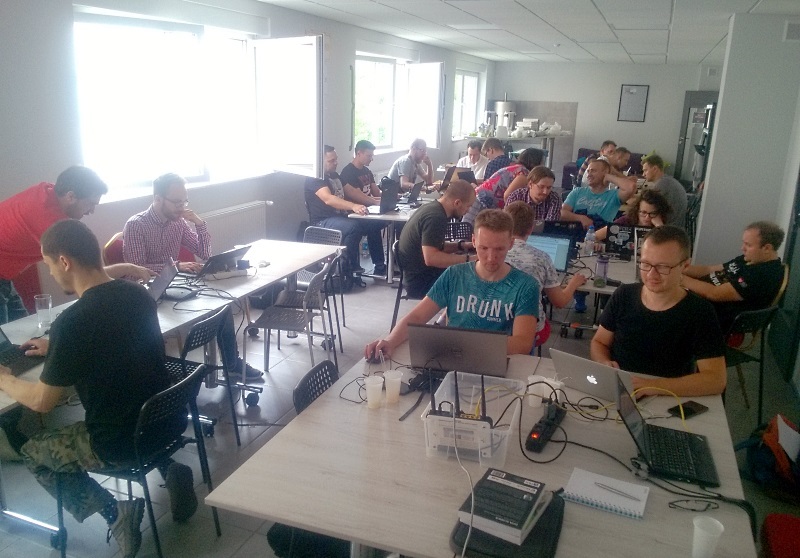 Sebastian Wróbel has organized a workshop – Hybrid intelligence (also hybrid learning). Machine Learning + Blockchain with examples based on a’Pear use cases. 6 hours of collaboration and networking. Our 17th meeting was on 3rd of April 2017. This time we had opportunity to listen to two speakers. 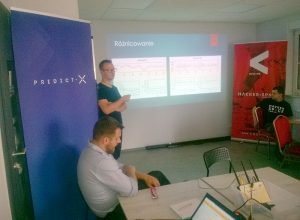 The first – great – presentation was presented by Karol Draszawka, who with extraordinary diligence and enthusiasm discussed the intricacies of AlphaGo algorithm. Thanks to Karol, we learnt about the details and structure of five neural networks created by Google to defeat the masters of Go. The presentation was based on the article “Mastering the game of Go with deep neural networks and tree search“. The second speaker was Piotr Orzechowski from Trineo company from Gdynia. He gave us an overview of the tasks for which image recognition algorithms are used in the security domain. Our next meeting will be held on 24th of April 2017. See you! MLGdańsk group met on 23rd January. 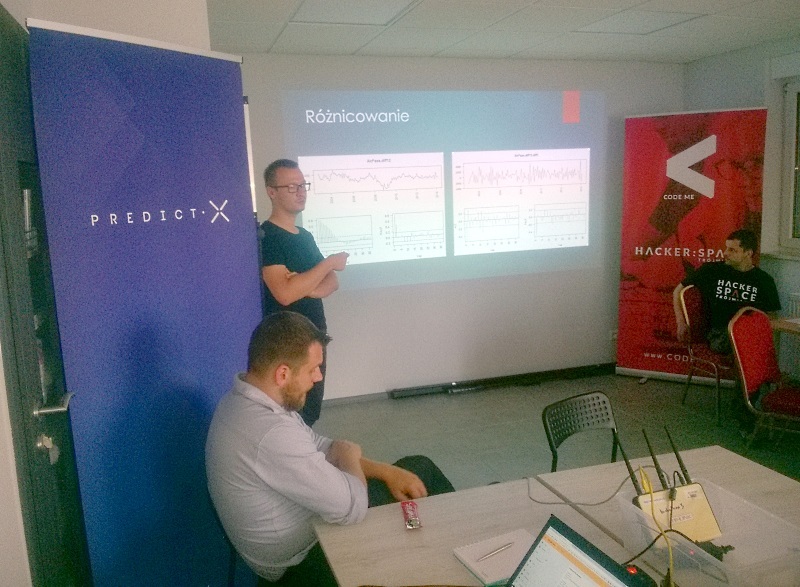 Marcin Kuropatwiński presented his research on creating life simulation using machine learning approach. 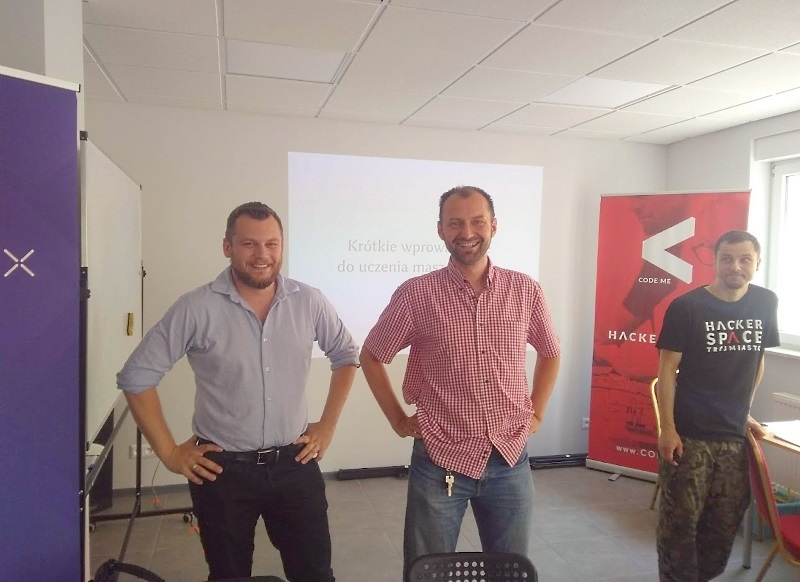 Marcin talked about his motivation and key methodologies. He presented theoretical mathematical basis for building simulation and models of single atoms. His idea is to build simulation based on micro and macroscopic data. For our next meeting on 6th February we would like to invite all enthusiasts of Neural Networks. 11th meeting of our group was held on 9th January 2017 at The Gdańsk University of Technology. Piotr Chlebek described his solution for Kaggle Bike Sharing Demand challenge. He used Neural Networks built with keras python package. Second topic was report from MLDAS 2016 conference presented by Marcin Zadroga. Join us in two weeks for the next meeting! 7th meeting of our group took place on 17th October 2016. Adam Karwan presented summary of the Data Science in Aviation conference which he attended. Rest of the meeting was filled with lively discussion about the directions, topics and goals of our group. If you are also interested in data science and machine learning, feel invited for our upcoming meetings. 6th meeting of our group took place on 3rd of October 2016. 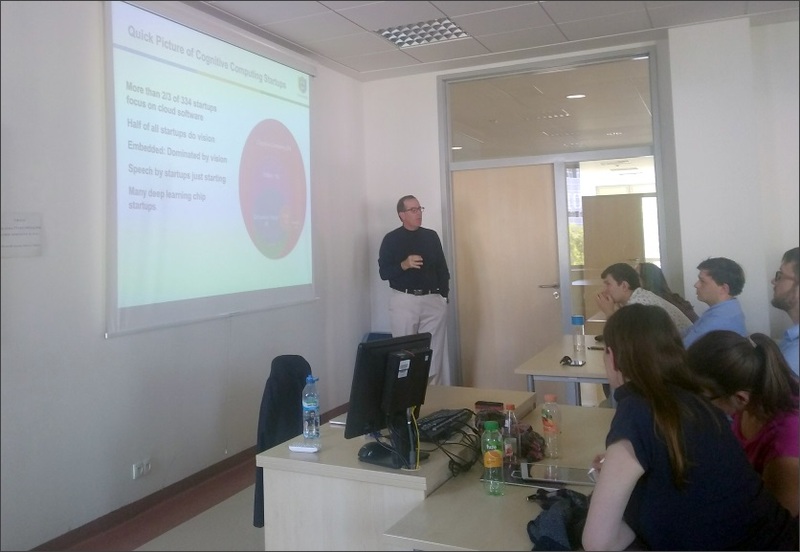 We had opportunity to take part in lecture about manifold learning, which was delivered by Krzysztof Czarnowski. He described main principles and ideas of the manifold learning algorithms. Feel free to join our next meeting in two weeks! 5th meeting of MLGdańsk group was held on 19th of September 2016. At the meeting we had opportunity to listen to Karol Draszawka who delivered talk about modern methods of texts’ representation for categorization tasks. Karol thoroughly described ideas and methods e.g. BOW, n-grams, CBOW, convolutional neural nets, additionally he presented current trends in development and usage of those methods. Next meeting is in just two weeks on 3rd of October, feel invited!